Gahanna Mayor’s Court may hear all misdemeanor offenses that take place in the jurisdiction of the Gahanna Division of Police with the exceptions of: second offense driving under the influence, second offense driving under DUI or FRA suspension and domestic violence cases. Mayor’s Court is administered by a Mayor-appointed magistrate and cases are heard each Thursday according to the following schedule. For information regarding fines, court costs, appearances, procedures, continuances or any other matter, contact the Clerk of Court’s office at 614-342-4080. During normal business hours, contact the office at 614-342-4080 to determine the course of action for getting the warrant removed. Outside of normal business hours, payment in full must be made at the Gahanna Police Department (460 Rocky Fork Blvd., Gahanna, Ohio 43230). Be advised – if payment in full is made online, active warrants will remain in effect until such time as the court is notified of payment during normal business hours. 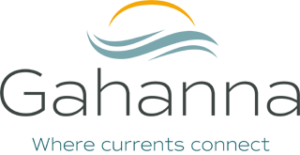 If you are found guilty in the Gahanna Mayor’s Court, you have the right to appeal your case to the Franklin County Municipal Court, pursuant to ORC section 1905.23. You have 10 consecutive days including the date of conviction to file a written appeal with the Gahanna Clerk of Court’s office. Click here to download the form. It is the law in the State of Ohio that everyone must provide proof of insurance when asked by a law enforcement officer. If you did not provide proof to the officer at the time of your stop, you must bring proof to your court appearance or when you pay your fine, fax it to 614-342-4180 or email the Mayor’s Court and include the ticket number, case number or name on the citation. Proof of insurance is required on the vehicle that you were driving on the date and time you were cited. Failure to provide proof may result in your license being suspended by the Bureau of Motor Vehicles.